Victoria, Australia is a world renowned vacation destination for its history, local food, sporting events, cultural and fashion events and diverse natural attractions. If you’re a nature enthusiast, there’s an abundance of things to do in Victoria, with breathtaking ocean cliffs, sandy deserts, spectacular rainforests, ski resorts, endless beaches and green rolling hills. With extensive wineries and fine dining, sporting facilities, trail rides and much more, there’s a tour of Victoria that’s perfect for everyone! Book a tour of Victoria to explore the beauty and wonder of the region’s natural environment. 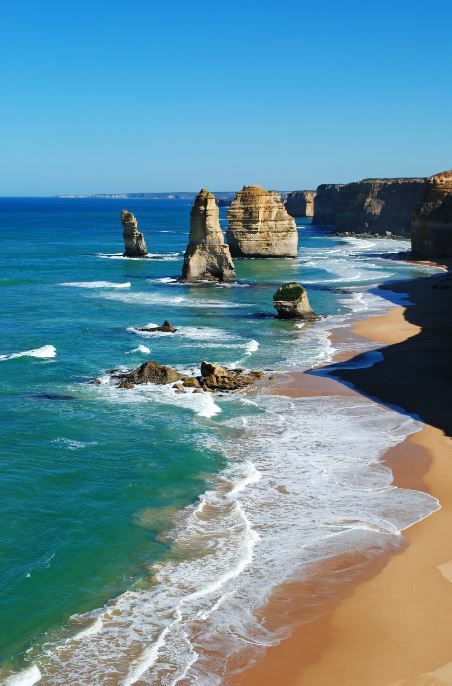 Travel the scenic coastline along the Great Ocean Road or the majestic Murray River. Come up close to koalas at the Phillip Island Natural Park or head to Logans Beach for whale watching. With endless views of mountains, fields full of wildflowers, rustic country towns and water views, you’ll appreciate nature at its finest. Victoria, Australia isn’t just known for it’s natural wonders, but for its rich history as well. The area is scattered with historic towns to tour that are now lively modern cities hosting luxury retreats, stunning architecture and art galleries. A tour of Victoria will take you to the finest locations and allow you to experience the lifestyle and culture of Victoria. There are also many fine dining opportunities in Victoria. Dine at award-winning restaurants, vast wineries or sample cheese as you stroll through the quaint towns and scenic views.  And Much, Much More! No matter if you’re touring Victoria by bus, scenic flights, hot air ballooning, bay cruises, trail rides, winery tours or walking tours, you’ll have an unforgettable experience. With top accommodations, you’ll not only explore one of the most beautiful areas in the world, but retreat to luxury hotels, resorts, cottages, cabins and more! Book your tour of Victoria today to explore one of the best destinations in the world!